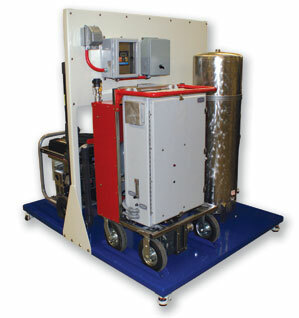 The PURFECTION 911 CBRN is a multi-functional emergency potable water system that includes a mobile sanitation system. A combination of cation and anion exchange filtration makes the system very unique for removal of radium 226,228 and uranium. The PURFECTION 911 CBRN is designed for chemical-free applications and uses ozone technology for totally green surface disinfection and decontamination applications.